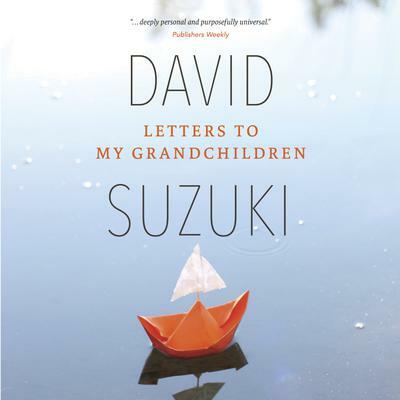 In these inspiring letters to his grandchildren, David Suzuki speaks eloquently about their future and challenges them to be agents of change and to do everything with commitment and passion. He also explains why sports, fishing, feminism, and failure are important; why it is dangerous to deny our biological nature; and why First Nations must lead a revolution. Drawing on his own experiences and the wisdom he has gained over his long life, he decries the lack of elders and grandparents in the lives of many people, especially immigrants, and champions the importance of heroes. He even has something to say about fashion. The book also provides an intimate look at Suzuki’s life as a father and grandfather. His letters are chock-full of stories about his own childhood and anecdotes about his children and grandchildren when they were small. Most of all, as he ponders life’s deepest questions and offers up a lifetime of wisdom, Suzuki inspires us all to live with courage, conviction, and passion.